For most people, all clouds look pretty much the same and there are only a few differences between each, with appearance being the only differentiating factor. As all scientists know however, cirrus clouds are as different from stratocumulus clouds as any atmospheric formations can be, and billow clouds are again something else entirely. This comparison article should clue you in to the main differences between each type of cloud formation, so that you won't ever have to be accused of having your head in the clouds! Cirrus clouds typically form at altitudes of 20,000 feet or higher, where the ice crystals that comprise them form as a result of freezing temperature. Cirrus clouds are most often seen during fair weather, and they often point towards the direction of the wind flow. Stratocumulus clouds, on the other hand, are relatively low-level cloud formations that typically take place at altitude of as low as 2,000 feet. “Billow clouds” is the term given to relatively high, sheet-like clouds that have a striated appearance and form in patches. 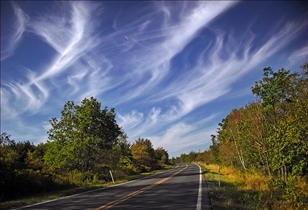 Cirrus clouds are generally characterized by a wispy and often transparent appearance. This makes it easy to differentiate them from stratocumulus clouds, which often occur in large, round masses that may range in color from light gray to dark gray. As for billow clouds, they are often easy to distinguish by their sheet-like appearance. They are also marked by regularly striated patches towards the edges. For this reason, many scientists are of the opinion that "billow clouds" isn't really an accurate term to describe these cloud formations. Cirrus clouds are formed by the action of freezing water at altitudes of about 23,000 feet or higher, where conditions bring about the formation of ice crystals. In most cases, cirrus clouds do not result in precipitation in itself, although large amounts of cirrus clouds may be a sign of an impending storm and/or resultant cool weather. Stratocumulus clouds on the other hand, are more likely to cause rain and/or drizzle. 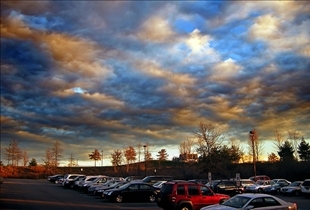 In fact, stratocumulus clouds have the ability to produce precipitation that ranges from light to moderate rain. Billow clouds are thought to be the result of instabilities between two sheets of air. This causes a disturbance in the atmosphere that grows exponentially under certain atmospheric conditions. Which one is the most spectacular? Dawn vs. Dusk: Which Came First? Warm Blooded vs. Cold Blooded: How cold can you go? Earth vs. Mars: Hosting Humanity?